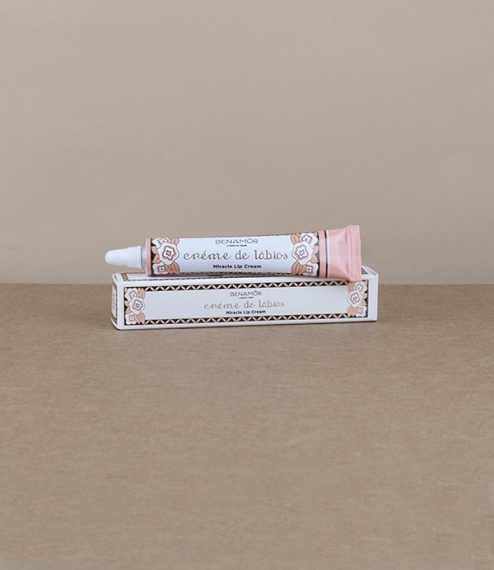 A 10ml aluminium tube of this smooth and highly highly moisturising Créme de Lábios - miracle lip cream. 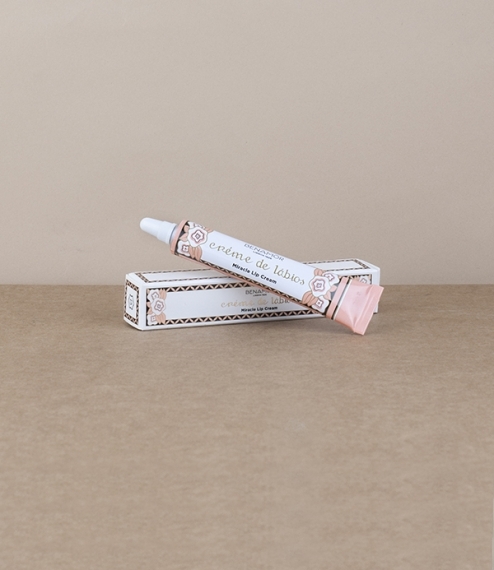 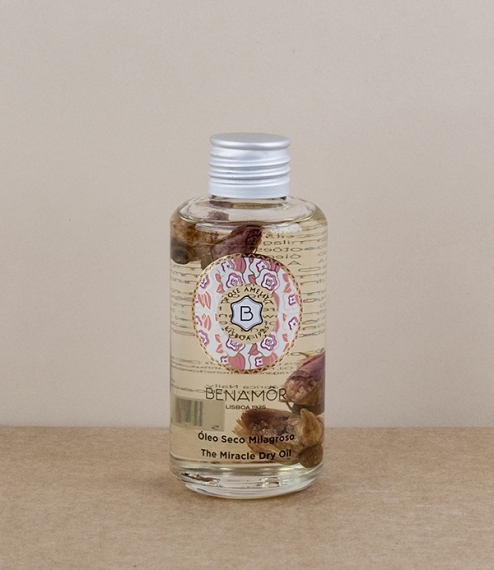 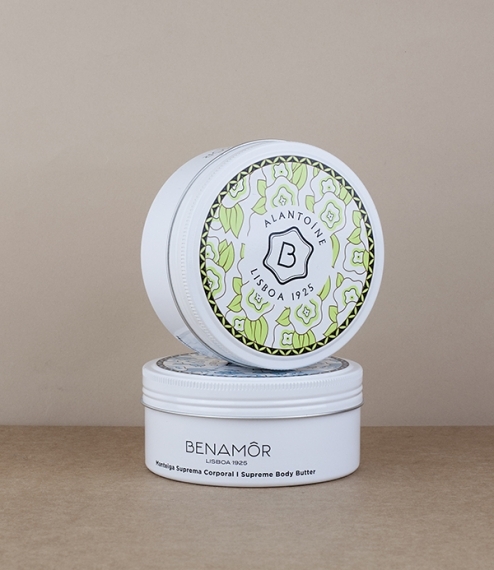 Made of shea butter, argan oil, coconut oil, sacha inchi oil, musk rose oil, as well as glycerine this is best used quite sparingly to both sooth and protect chapped or delicate lips. 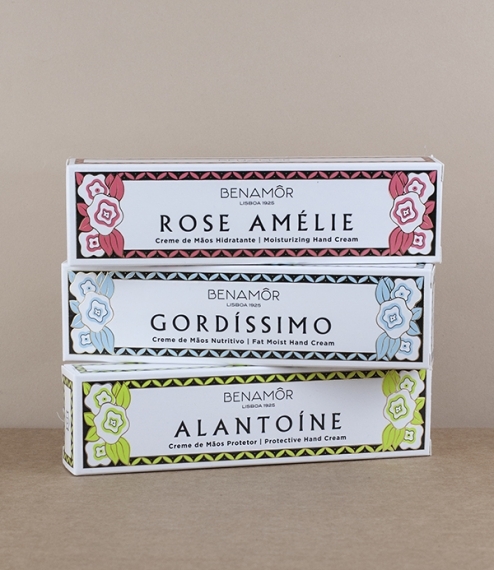 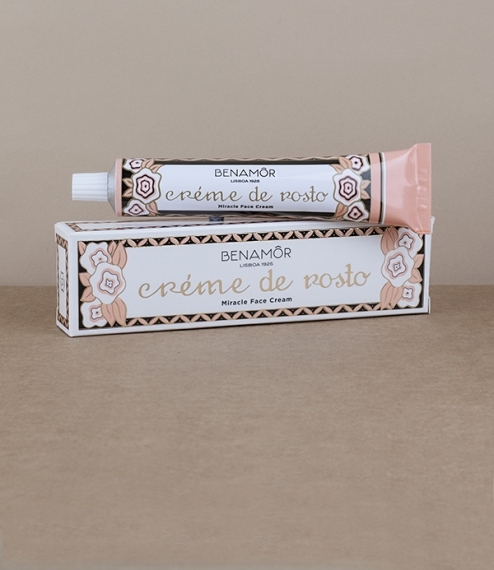 Made in Portugal in the laboratories by Benamôr, a company founded for the production of its now famous and still unchanged in recipe Créme de Rosto on Lisbon’s Campo Grande in 1925.